A Connecticut Yankee who began her wine career in California, Carol has also lived and worked in France, Scotland, and now lives in the Wiltshire countryside near Bath. Wine education is a passion, and Carol enjoys working with both trade and consumers. She has lectured and judged for WSET, and designs tastings and seminars on a wide variety of subjects. Trade seminars can be tailor-made to requirements for all levels of staff needs and knowledge. Carol is fluent in French, and has written on wine and taught in both French and English. Special areas of expertise are France and the New World, but she loves the challenge of unusual wines and vineyards. In October 2006, Carol won the coveted European Champagne Ambassador award; the only dedicated award for wine educators in Europe. Special areas of expertise include the French regions of Champagne, Bordeaux, Burgundy, and the South-West. Carol also loves the challenge of new vineyards and unusual wines around the world. 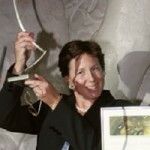 WSET Diploma 1995; Certified Wine Educator (SWE – USA); member of AWE & Circle of Wine Writers, UK. Ambassadeur Europeen du Champagne 2006-07.